We pick up one or two ornaments every year as a family and this year, we decided to get one from our Montana trip. 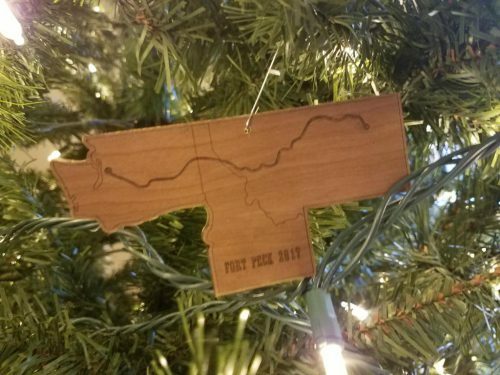 Not surprisingly, we didn’t find a lot of Montana ornaments as we drove across the state so I decided to make one myself. This ornament is cherry plywood cut on a laser cutter. It’s a map of Washington, Idaho and Montana with our route highlighted and “Fort Peck 2017” written across the bottom.